Traffic Kings: Ace Hood announces forthcoming project "Trust The Process"
Deerfield Beach, Florida; Ace Hood recently took to Instagram to announce that he’s releasing a new project on August 21st called "Trust the Process". Before this announcement many were skeptical about Ace Hood and his movements, yet we see it as him taking time off for personal growth. Before the announcement, many of his posts were fitness, mediation, and relationship related...which to us shows a much-needed time to reflect and reinvent himself. 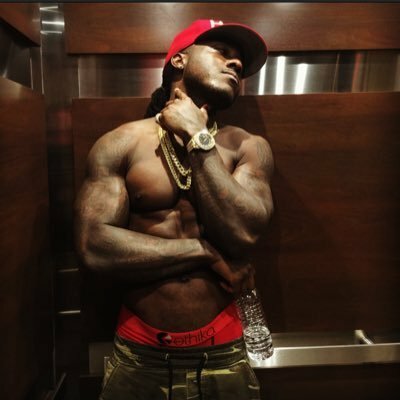 Ace Hood's words expressed his many thanks for his journey and everything he learned throughout this time. He also thanked his fans for remaining patient as he got himself ready for his next steps. Last, but not least, Ace Hood thanked God. Below you will see the 3 trailers he dropped as a preview of what's to come August21st. Press Play To Watch Trailer Part 1!! Press Play To Watch Trailer Part 2!! Press Play To Watch Trailer Part 3! !